Taking passengers through untouched parts of the country, various train journeys in India cut through rugged yet pristine mountain ranges, across streams, river bridges, and even through crowded towns and villages. We bring you stories from some of the most scenic train journeys pan India. “All we could see were wide snow fields on either side. It felt like I am inside some reel scene from a movie. Though it was really crowded, it was my most enjoyed train journey until now. We also got to see apple orchards on our way,” says Poonam Gupta, who recently travelled from Baramulla to Srinagar in Jammu and Kashmir, in a diesel–electric multiple unit (DEMU) train. 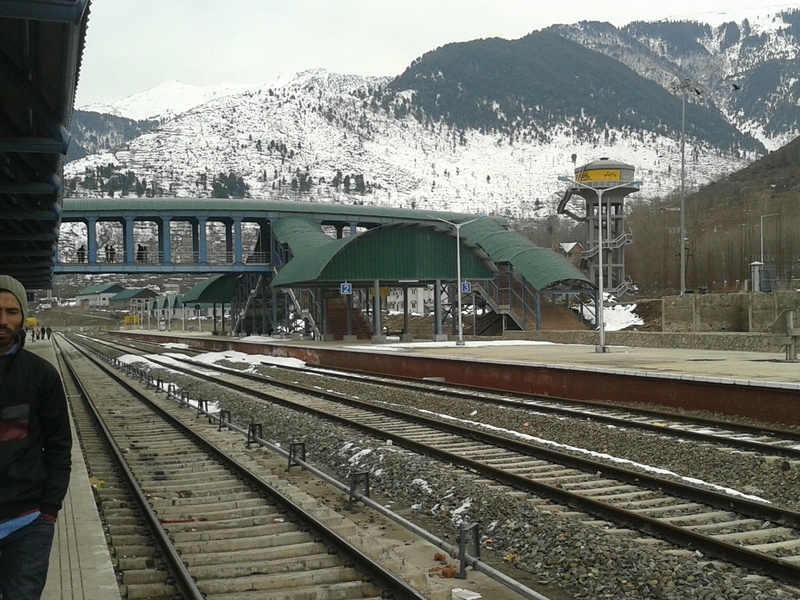 The Kashmir Valley Railway runs from Baramulla in north Kashmir to Banihal in the Jammu region. Passing through various tunnels and hundreds of bridges over the Himalayas, laying this railway line was one of the most challenging railway projects in India, as the route cuts through many earthquake prone zones, and high altitude mountain terrains. Undoubtedly, the best time to enjoy a ride on this route is during the winter months when thick layers of snow drape the entire area. The route has Asia’s second longest and India’s longest railway tunnel – The Pir Panjal Railway Tunnel, stretching through the Pir Panjal mountain range. 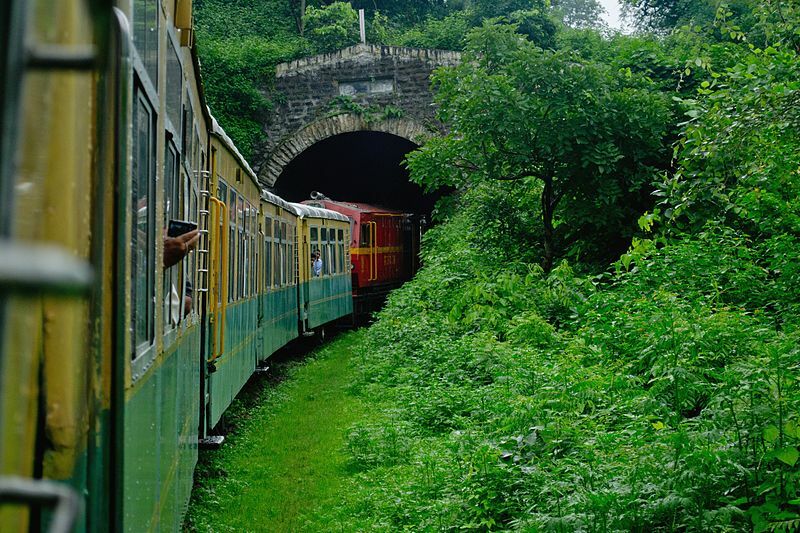 Another route to enjoy the terrains of the Himalayas is the Kalka–Shimla toy train in Himachal Pradesh. The train passes through more than hundred tunnels and over 800 bridges, to reach one of the highest railway stations in India at around 2,086 metres. “The landscape keeps changing. We witnessed the mountain ranges from inside the train, steep valleys, and after minutes we were inside a tunnel that took us out to a narrow passing that bore beautiful flower creepers on both sides. And then again, we were amidst the mountains overlooking villages,” says Vansh Sirohi, a student in New Delhi, who travelled in the toy train last November. However, not only the Himalayas but train journeys in the country also cut through picturesque coastlines. The Ernakulam to Trivandrum route in Kerala is one of them. The journey through the Arabian Sea coast offers view of lined coconut trees, green paddy fields and water channels over the backwaters that have also been a backdrop for many Bollywood movies. “We did not spot any animals but the views of the forest area were stunning. A train journey is perhaps the best way to travel on this route. I was on my seat for hardly 5-10 minutes because I was clicking pictures and making videos throughout the travel,” says Aditya Sharma, a resident of west Delhi, who travelled from Siliguri to Hasimara in West Bengal via the Siliguri Alipur Duar Intercity Express, last year. The train runs from Siliguri to Alipurduar and passes through a number of forests and wildlife sanctuaries including Mahananda Wildlife sanctuary, Chapramari forest, Jaldapara Wildlife sanctuary, and Buxa Tiger Reserve, along with numerous stream crossings. However, nestled in the western ghats of the country is another route that takes people through forest territories, to reach the hill station of Matheran. The place holds its charm, owing to no vehicles allowed in the town. Running between Neral and Matheran in Maharashtra, the train route also provides views of the dusty and muddy roads around Matheran. Not to mention, talking about dusty routes, the Jaipur to Jaisalmer train journey looks over camel safaris in the Thar Desert of Rajasthan, with views of the barren stretches, and settlements of colorful mud huts against the rising sun.